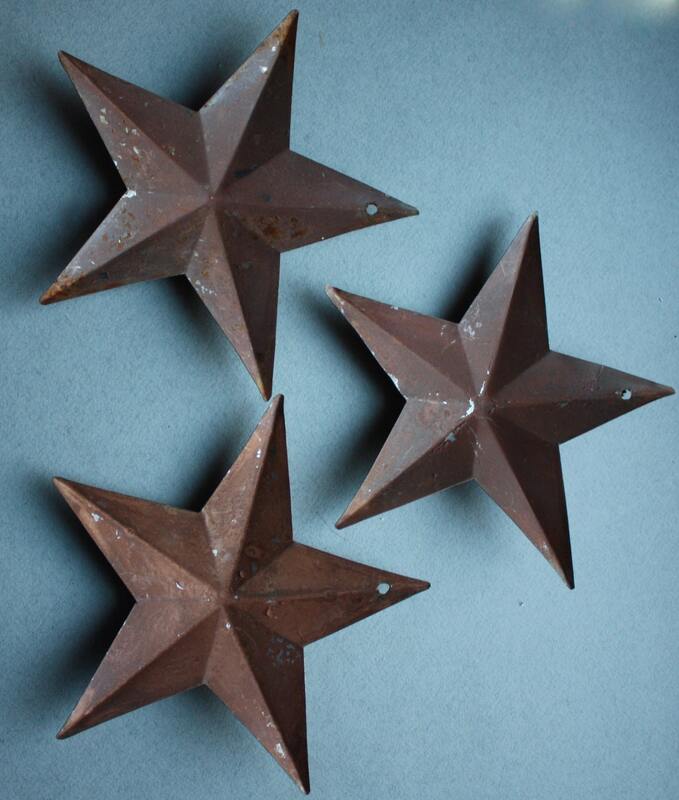 These three vintage metal stars have the rust (although this is mostly on the backsides) and chippy paint that make them perfect for a primitive or farmhouse decor scheme. The sale is for all three stars, which each have varying degrees of wear. 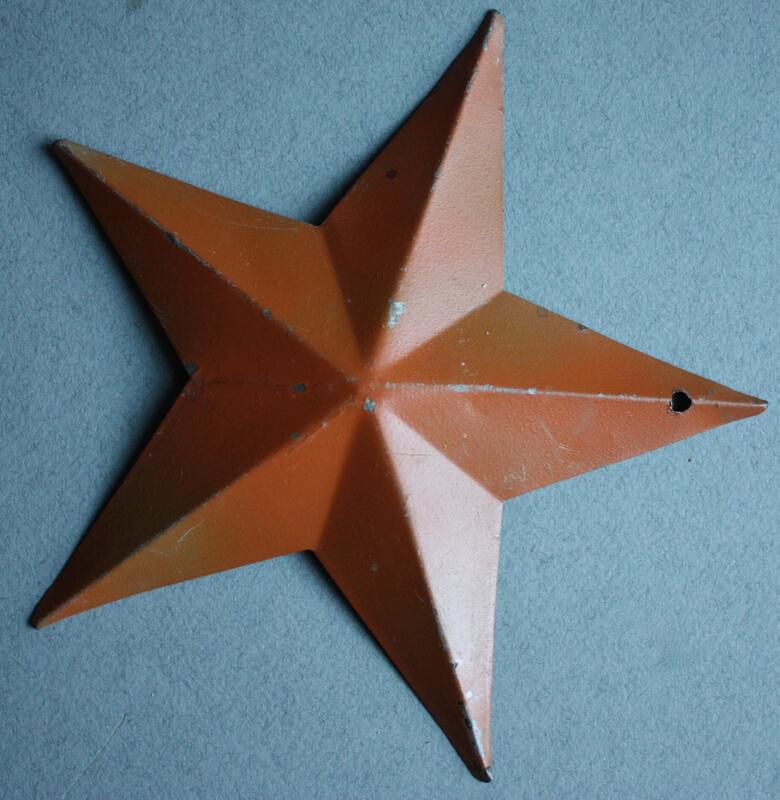 I've shown each star, one in each of the last three photos. 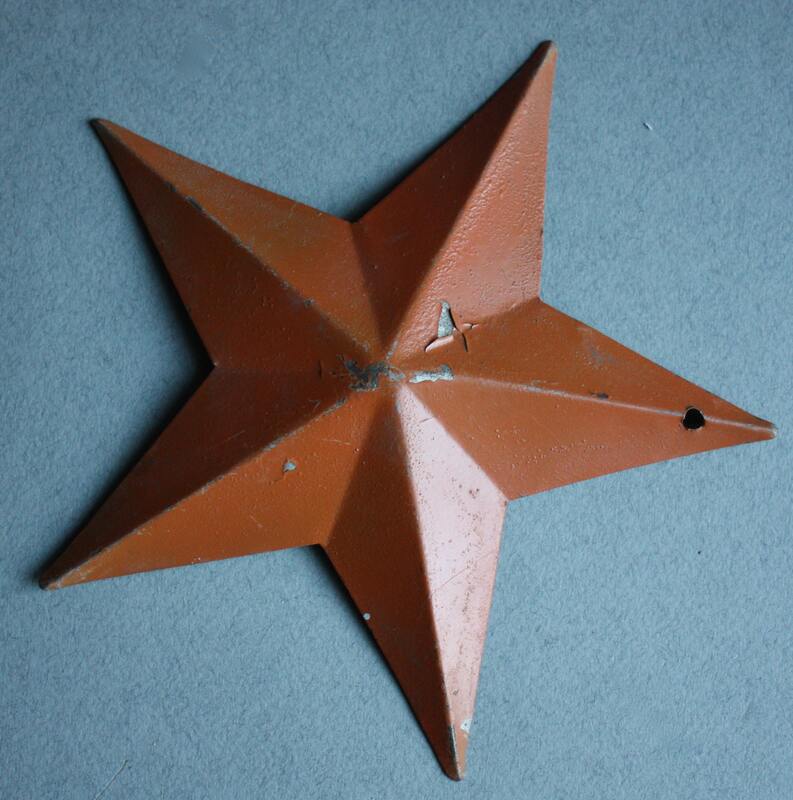 The stars measure 6 ¾" from one point to its complementary counterpart. 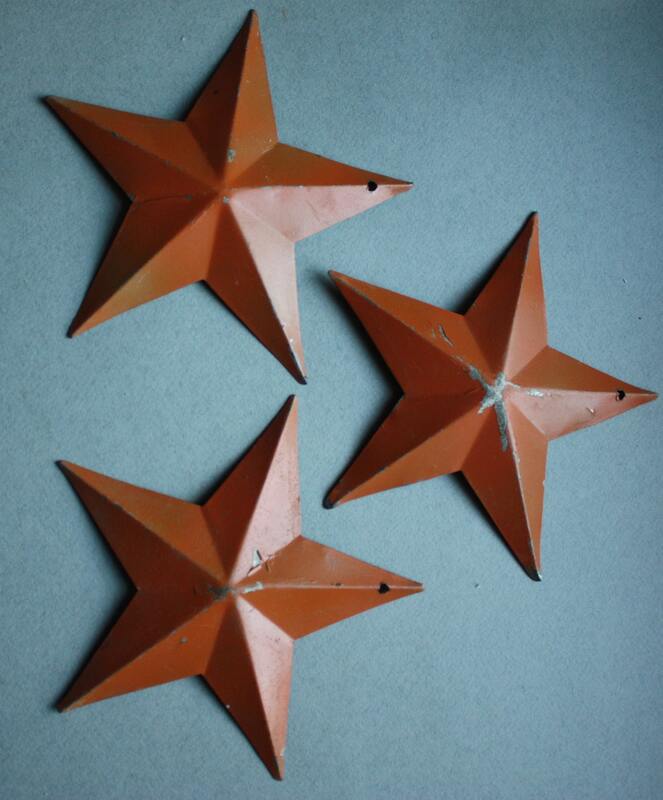 They are lightweight and have holes for hanging. These could be hung on a wall or made into a mobile.